Lauren Sallata is Chief Marketing Officer at Panasonic Corporation of North America, the principal North American subsidiary of Panasonic Corporation and the hub of Panasonic’s U.S. branding, marketing, sales, service, and R&D operations. She leads the transformation of the corporation’s digital, brand, content, advertising, and corporate communications efforts. In this capacity, Lauren is responsible for the development and orchestration of comprehensive, customer-focused marketing initiatives across North America ensuring alignment to business strategy, brand repositioning efforts, and seamless customer engagement. 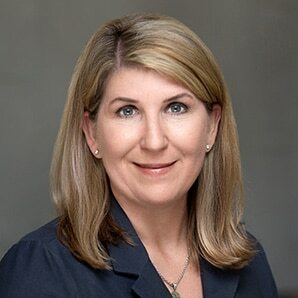 With more than 15 years of experience in technology marketing prior to joining Panasonic, Lauren previously served as Vice President of Business Development and Marketing at Xerox Corporation and ACS, Inc. She has also held senior marketing, strategy, product, and operations leadership positions at MCI Telecommunications and Verizon Business.